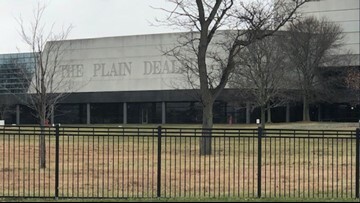 Hear about The Plain Dealer's future, from dwindling staff to its redesign. The gold medalist sat down with Let's Be Clear from her gym in Medina. Moceanu was one of the first gymnasts to accuse famed U.S. coaches Bela and Marta Karolyi of verbal and psychological abuse. She says the goal at her own gym is to create and environment where students can work hard but also have fun. Cleveland native and actress Monica Potter opens up in the Let's Be Clear truck. 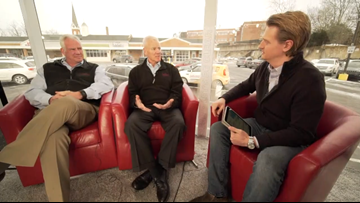 Brothers Tom and Jeff Heinen discuss their grocery store change on Let's Be Clear. Ohio Gov. Mike DeWine sat down with WKYC for an edition of Let's Be Clear (without the truck). 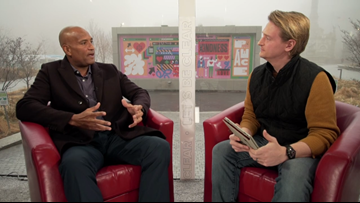 Let's Be Clear: An open conversation with Cleveland Indians great Sandy Alomar, Jr.